Opponents of oil pipelines, like the Keystone XL pipeline from Alberta to the U.S. Gulf Coast, have arguably caused unnecessary harm to the environment, reduced public safety, and slowed the Canadian economy. They have done this by causing oil to be shipped through alternative means of transportation that are less environmentally sound, more dangerous, and in many cases less efficient. The oil industry is superb at building pipelines, but recent setbacks in the approval of new pipelines in Canada and the U.S. have shown the industry’s weakness in communicating with the public and gaining public support. “What does it mean for me?” ask Canadians and Americans bombarded with hysterical, vicious propaganda against pipelines. People are tired of talk about how pipelines supposedly ruin the environment and only make the rich richer, but unfortunately the oil companies themselves rarely make a point of addressing and countering this blatant misinformation. North Americans need to know that they are not “evil” for using oil and for supporting pipelines that transport the fuel that warms their homes and enables long-distance travel. The oil industry needs to remain strong and active for the good of us all. The cleanest and safest way to move large volumes of oil, on land and occasionally across bodies of water, is usually through a pipeline. 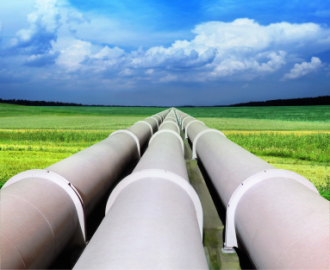 Pipelines are immune to the challenges of unfavourable road, rail and sea conditions. Pipelines are not prone to massive disasters due to driver errors. Consider the horrific 1989 Exxon Valdez oil spill in the Gulf of Alaska. If the same oil had been shipped by pipeline, this accident would not have happened. The exact causes of the oil-train explosion in July 2013 in Quebec are still being investigated, but this unspeakable tragedy would likewise have been avoided if the oil had been transported by pipeline. Pipelines are not to blame for the world's largest and worst oil spills. Notably, stemming the flow of Canadian oil through pipelines only increases imports from overseas transported by ocean tanker. Besides, many oil-exporting countries overseas fail to follow Canada's environmental and social standards, and sometimes their petrodollars find their way into very dangerous hands. Of course, no technology is foolproof, and pipelines occasionally rupture and spill oil on the ground. But most pipelines have leak-detection systems that will shut them down if leaks occur. When procedures and safeguards fall short, accidents can happen. But in Canada and the U.S., these accidents are publicized and thoroughly investigated to ensure similar incidents will not happen again. To keep our car engines running, crude oil must be moved somehow from oilfields to refineries. Using motorized transport to ship oil by rail, road and water commonly involves releasing more exhaust and pollutants into the environment than if the oil were sent by pipeline. Loading, transporting and unloading tankers is time-consuming and expensive, and coastal terminals occupy valuable land. Buried pipelines, by contrast, can be routed away from populated or busy areas so they disturb fewer people. Pipeline construction means job creation. The building of the Alaska pipeline in the 1970s, for example, is legendary to this day for its romantic adventure, boomtown atmosphere, hard work and superb pay. In today's shaky economy, job creation is vital. Once pipelines are built, maintenance costs are comparatively low. Still, the maintenance jobs tend to be skilled and well-paid. A drive across the country shows the vast number of people, families, and communities depending on servicing oilfield and pipeline infrastructure for their livelihoods. Anti-pipeline opponents dislike pipelines because they ship oil, and oil is a substance they dislike. Such blanket opposition is irrational. The oil industry should enlist professional and experienced communicators to defend it and demonstrate to the public that oil is necessary, and so are pipelines. Affordable fuel, delivered safely, makes our way of life possible. In this way, pipelines serve not just the oil companies but all of us.